On October 12 & 13, the Brown Institute kicked off its 2018-2019 Transparency Series with a deep dive into polling and election polls. The event commenced with a seminar by Amanda Cox, editor of The Upshot at The New York Times. In response to polling results from the 2016 election combined with a lack of availability of polls for house races, The New York Times announced Polling in Real Time, a partnership with Siena College to conduct polls of dozens of the most competitive House and Senate races across the country. At Brown, Amanda explained the need for transparency, and quality data, and discussed the limitations of conducting election polls in the digital age. A write-up in CJR on the 2018 midterms summarizes the talk. Access to the raw results each of the polls conducted by The Upshot can be found on Github. 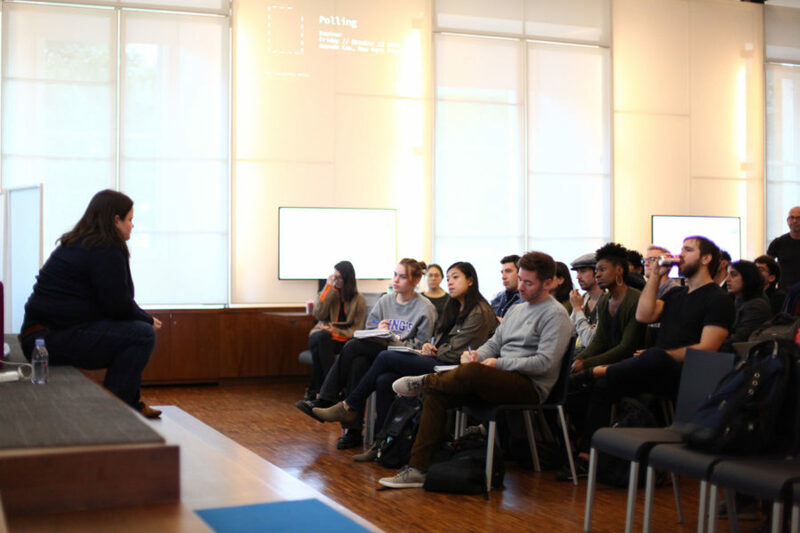 On Saturday, editors of Pollapalooza, a vertical on election polls on FiveThirtyEight hosted by Dhrumil Mehta and Janie Velencia, walked 24 Columbia Journalism School students through the process of comparing, analyzing, and writing about election polls in our current political climate. Information about the upcoming Transparency Series, including sessions on voice interfaces, reporting on devices and digital security can be found at transparency.brown.columbia.edu.